I was preparing my Dino kale salad with hard-boiled egg yesterday morning, and did a quick scan of the cover story in the San Francisco Chronicle (owned by the mighty Hearst Corp.). 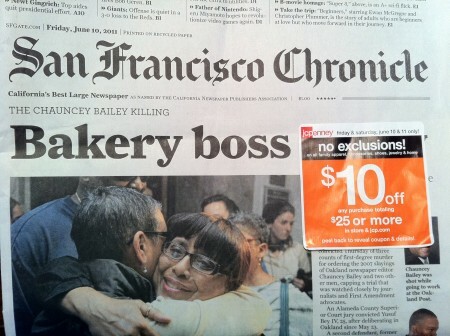 I didn’t get it: why would the Chronicle run a headline that simply said “Bakery boss”? It had a picture below it of two people hugging…I was still confused. Did a local baker get promoted to “boss” and that somehow was newsorthy? I’m a former journalist and the first rule of headlines is that it should be compelling enough to make the reader want to read on. I wrote about the Win-Win Exercise earlier today and it reminded me that I have three other decision-making tips I use on a regular basis. These are techniques I use when there’s a real close call (“50-50″ so to speak) to make; they are often the most important decisions you’ll make. So I’m putting all four decision-making tips here for easy access…plus I also remembered that I have this really cool illustration (below) that my nephew did for the topic! 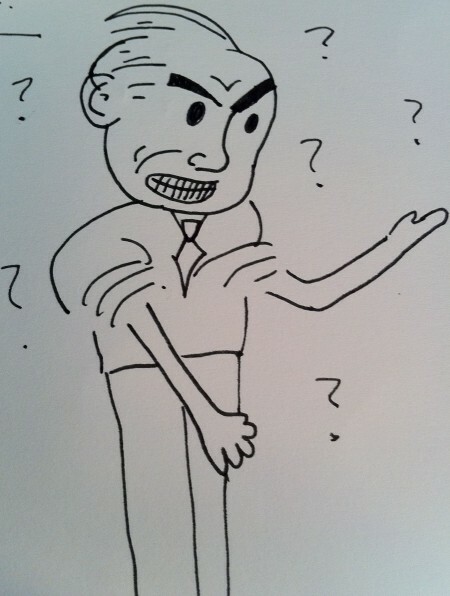 My nephew drew this awesome image of a person having a tough time making a decision. I think it might be a combination of me and my dad! A family friend asked for career advice the other day — he was trying to make a decision between finding a new job or staying put at his current job. He was torn — almost manic — about which way to go…so I busted out the “Win-Win” exercise inspired by Yogi/Life Coach Terry. 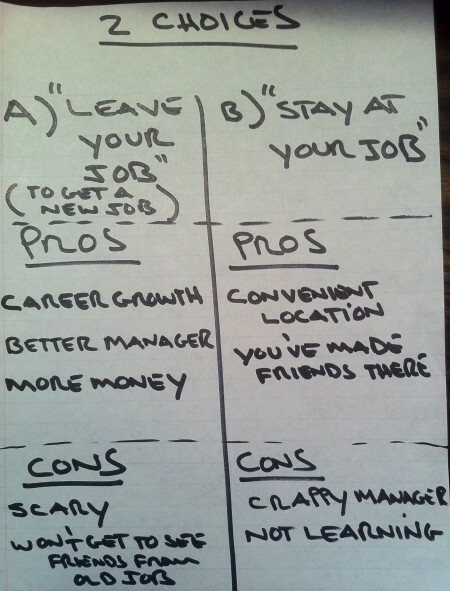 This Decision-Making exercise is easy: list off the pros and cons of your two choices (e.g. my friend is deciding between leaving his job or staying at his job.). And then there's a cool twist below!